Britney Spears may have gotten the lion's share of the attention with her $15 million X-Factor contract, but fellow pop starlet Demi Lovato has pulled in a fairly healthy sum of her own for the same job – although it's only about one fifteenth of what Spears is getting. The former Disney Channel star is making just over a million bucks to be a judge on the upcoming Fox musical competition show. Despite the Spears comparison, the million dollar payday is respectable at worst. And it's easy to see why Lovato would be worth that kind of money to Simon Cowell and the other producers of X-Factor – her appeal with younger audience members is well-established. Believe it or not, many children and young teens have only a vague conception of who Britney Spears even is, and it will be Lovato's job to pull in these younger viewers. And all indicators show that Demi Lovato is taking her new job very seriously. Her upcoming tour has reportedly been scheduled and organized around X-Factor tapings – a pretty unusual move for a touring artist. 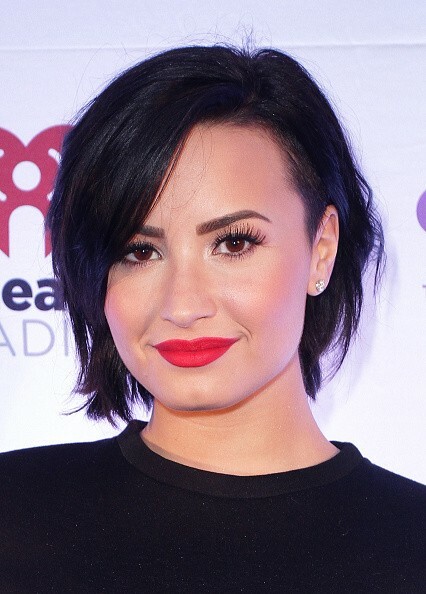 But she's got every reason to want to please – Lovato has been plagued with personal difficulties for years now. They came to a head back in 2010, when Lovato canceled appearances on a world tour with fellow Disney Channel pop group The Jonas Brothers before entering treatment for "physical and emotional issues." Her struggles with eating disorders and various other mental issues were well-publicized last year. Fortunately, she seems to have gotten on track, and in March a documentary about her time in rehab entitled Stay Strong aired on MTV. But the X-Factor gig will be Lovato's return to her Disney Channel audience in many ways, so there will probably be a lot of pressure on to perform and appeal to the youngsters she was brought on the show to attract.